Programming is very simple and intuitive. One click (without holding) imitates multiple clicks during selection. Break Reminder will remind you to take a rest. The wireless version of this mouse has a rather bad connection. This Evoluent vertical mouse is incredibly convenient and easy-to-use, featuring light and tactile programmable buttons. The scan rate of this mouse is 8000 fps, while maximum acceleration is 8G. All the buttons are able to outlast 8 m clicks. The scientific ergonomic design provides excellent durability. The scroll wheel is a bit inconvenient. No battery charge indicator. J-Tech is a very nice and handy vertical mouse with compact size and a high-performance sensor, featuring great compatibility with multiple operating systems. Easy connection and installation with no software. The lightweight body and conveniently located buttons are an obvious advantage. Last and Next Page buttons don't work when the mouse is used on Mac OS X. This vertical mouse is inexpensive, yet effective solution for maximum comfort in multiple computing needs. 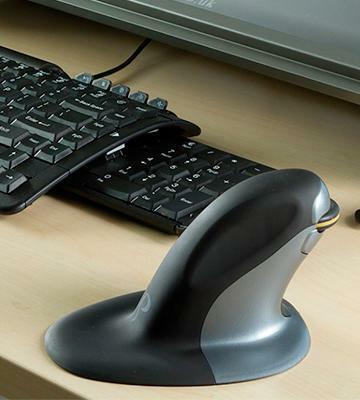 This elegant mouse design will fit any computer desk. The scroll wheel features an auto-scroll function. The sensor performs well on any work surface. The central 'bow-tie' switch allows for easy transition between right and left hand. The mouse is quite heavy in comparison with similar models. 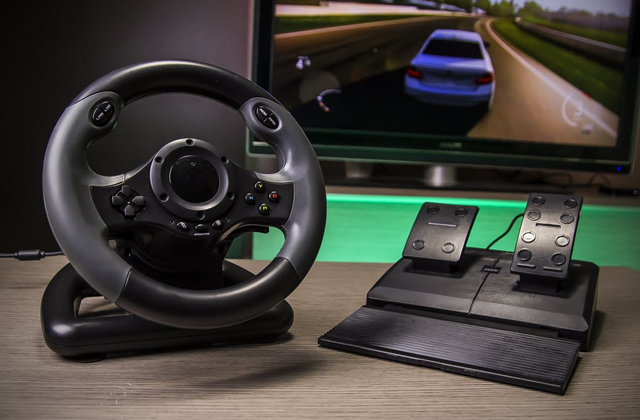 This wireless vertical mouse will be great for both right- and left-handers and can be used for hot desking. A high sensor resolution provides a great mouse accuracy. The On/Off power switch allows extending the battery life. The rubberized insert provides comfort for you palm. The mouse may be problematic to connect to Linux OS. 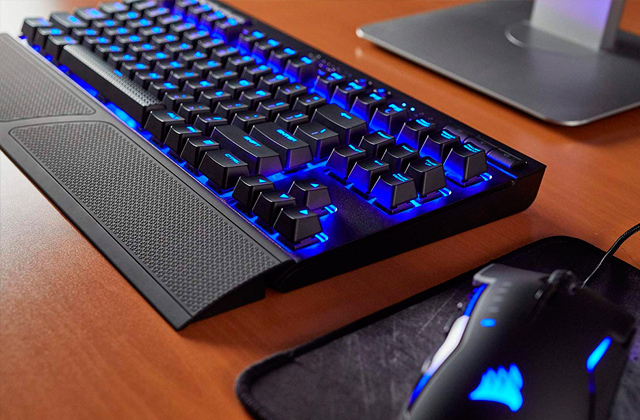 This vertical mouse is an optimal choice for both gaming and regular web surfing. Besides, the sleep mode allows the mouse to save the battery charge considerably. 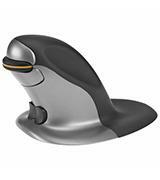 Evoluent VM4R Vertical Mouse is a very convenient and ergonomic model of vertical mouse. 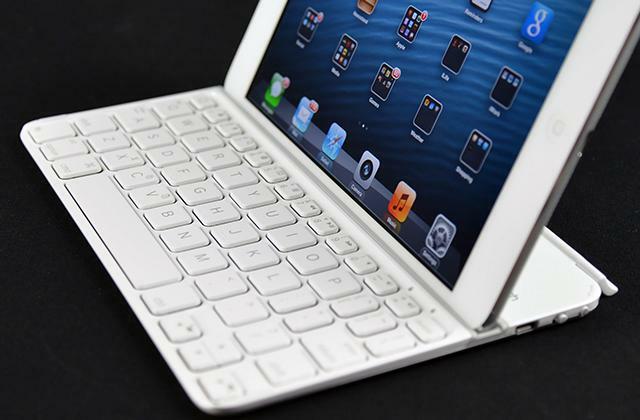 Its size is medium, so it will be great for users having a standard-size palms. As for orientation, this mouse was designed for the right-handed persons. The body is made of plastic with a polyurethane coating that provides a good adhesion to your palm. The light weight of the mouse also provides its good ergonomics and usability. 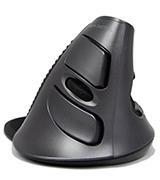 The improved thumb rest highlights the advantage and comfort of this mouse over other models. 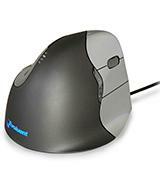 This vertical mouse comes with the optical sensor that performs quite well on solid surfaces. 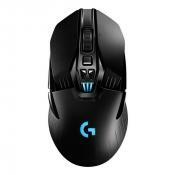 The mouse resolution can be set to 800, 1200, and 1600 dpi, so you can pick the most appropriate for your needs. 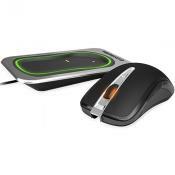 Evoluent VM4R Vertical Mouse features 6 programmable buttons, such as Left & Right buttons, lower additional button, Scroll Wheel, and Forward & Back buttons. Each button may be configured to perform specific functions, so you can assign the functions to them to work with graphics editors, office applications, etc. The features of Evoluent VM4R include 4 LED indicators showing the pointer speed. The indicators are located at the top of the body and are identified extra low (XL), low (LO), MD (medium), and high (HI). The lighted logo is another peculiarity making the mouse look elegant in the dark. The mouse is connected to a PC or a laptop via the USB cable which length is 6.60 ft. That's quite a good showing for such type of connection. It also tracks better, has adjustable DPI, and much nicer button feel. I'm very happy that I did. The VerticalMouse 4 has a fantastic solid feel. The materials used are of decent quality and ergonomically the shape is far better than that of the LuguLake. The programmable buttons have been a blessing I never thought i'd use, but now are a key piece of how I do my work (I work with databases and was able to program a button for the F function that I use constantly throughout the day). The corded version is lighter than the wireless version due to the batteries' weight. 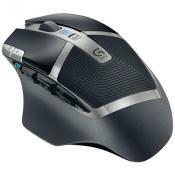 J-Tech Wireless Vertical Mouse features a unique scientific ergonomic design. The mouse is shaped so as to provide a natural and comfortable position of your hand and minimize the fatigue on the wrist. The body is fabricated of solid ABS plastic that provides a high strength and good adherence to your skin. 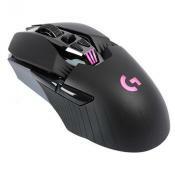 This vertical mouse is intended for the right-handed and refers to small/medium size. Hence, it will fit the palms up to 7 inches long. Lastly, the weight of 0.33 pounds indicates a great mobility and convenience in handling of the mouse. 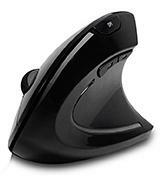 This vertical mouse is equipped with a laser sensor for comfortable use on any surfaces, including glass and gloss. The sensor resolution is adjustable and you can set it to 800, 1200, or 1600 dpi using a designated switch. 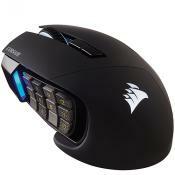 The mouse is fitted with DPI Switch, Left & Right Buttons, Scroll Wheel, and Back/Forward buttons. 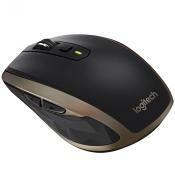 All these foregoing show a good functionality and provide comfort and handiness of this J-Tech mouse. The removable palm rest is probably the only feature that differs this mouse from the crowd. This rest will bring you an ultimate comfort during the work. Besides, you can easily detach the rest with one movement upon your wish. 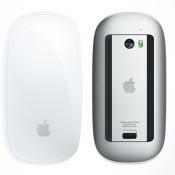 The mouse features a wireless connection and can be used remotely within the reach of 32 ft. These parameters tell about a high mobility and versatility. What is more, the mouse is compatible with Windows XP, Win7, Vista, and Mac OS X 10.4 and later, so don't worry about the operating system on your PC or laptop. Adesso iMouse E10: 2.5 in. It feels a little uncomfortable but i do not feel ANY wrist strain. DPI settings made a big difference for gross navigation, even for me and I spend my day navigating 3-4 screens next to each other!!!!! Wireless hooks up easily and needs no drivers. 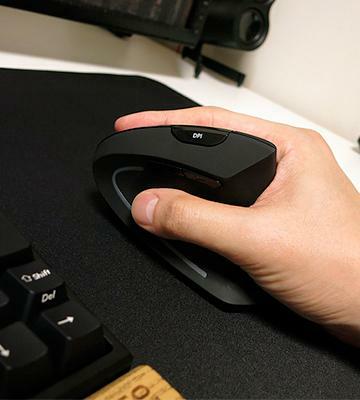 Anker 2.4G Wireless Vertical Ergonomic Mouse is made with the optimal slope for a comfortable position of your hand. When you use the mouse, your palm is in a "handshake" position regarded as the most appropriate. The mouse is very compact and handy, fitting the right-handers. The "small" size category shows an ideal matching to average palms up to 6 inches long. The body is made of plastic with the matted surface that will sit in your hand well without sweating. It should be noted that this mouse is one the most mobile and ergonomic models, as its weight is nothing but 0.2 pounds. When it comes to functionality of Anker 2.4G, we can highlight the optical sensor to be used on diverse surfaces. 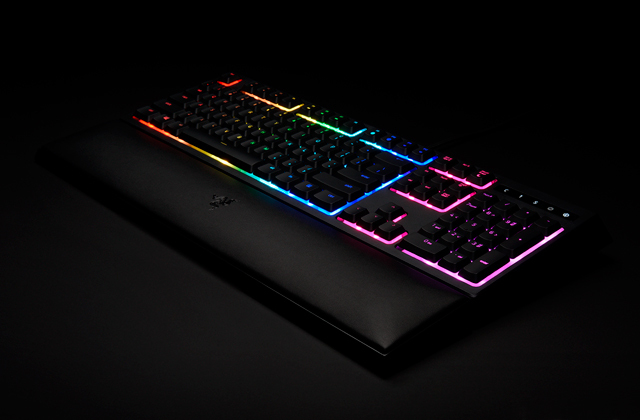 By the by, the mouse resolution is rather high; you can adjust it to 800, 1200, and 1600 dpi. This is quite a good figure for this mouse, considering its moderate price. 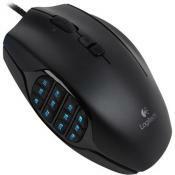 The mouse has 6 buttons that are DPI switch, Left & Right Buttons, Scroll Wheel, and Next Page/Last Page Buttons. 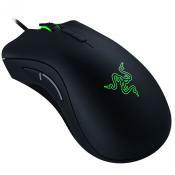 Hence, this mouse will work efficiently, whether you deal with Office applications, browse the Web or play games. A special power saving mode is the main feature of this vertical mouse. It goes off automatically if you do not use it for 8 minutes, so the battery charge will be saved. The battery level indicator will warn you when the power runs low. The mouse is connected in a wireless way through a USB transmitter of 2.4G frequency that will allow for using the mouse within the proximity of 32 ft. Accordingly, Anker 2.4G can be used both at permanent workplaces and in multiuser environments. Finally, this mouse is able to withstand 1 million clicks that is a truly lifelong performance. Adesso iMouse E10: 4.8 oz. The tracking is incredible, i've tried everything from bed sheets, blanket, jeans to wood and rubbery plastic, it tracked without issues. Only on glass it didn't work, but that's expected. Impressive. 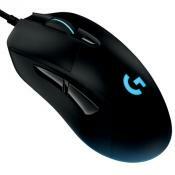 The entire mouse has a soft rubberized coating that feels great. Fits well in my average man hand (i have 7.5" measured from wrist to the tip of my middle finger). Posturite 9820100 has a medium size, so it will be comfortable for those whose palms are 6-7 inches long. 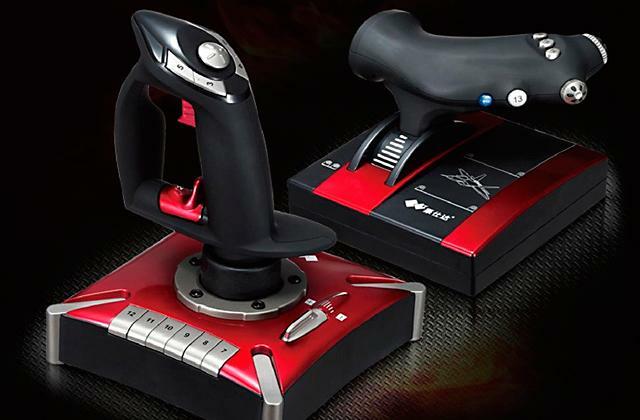 What is more, this model is ambidextrous; hence it will be great for both left- and right-handed users. 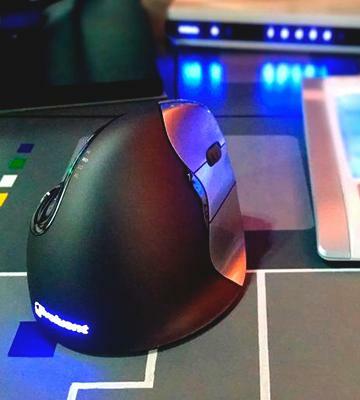 The mouse body is fabricated of plastic with polyurethane coating for a good contact with palm and ultimate comfort. The weight of this mouse is 0.75 pounds that confirms its stability and resistance to accidental shift. 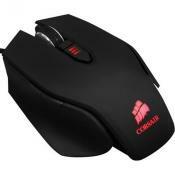 This vertical mouse refers to laser mouse devices performing well on any surfaces and featuring longer battery life. The pointer resolution can be adjusted to 400/600/800/1200 dpi, so you can pick the most appropriate for you. The mouse comes with 5 buttons including Left & Right Buttons, Scroll Wheel, and a special 'bow-tie' switch for easy transition between left and right handed use. 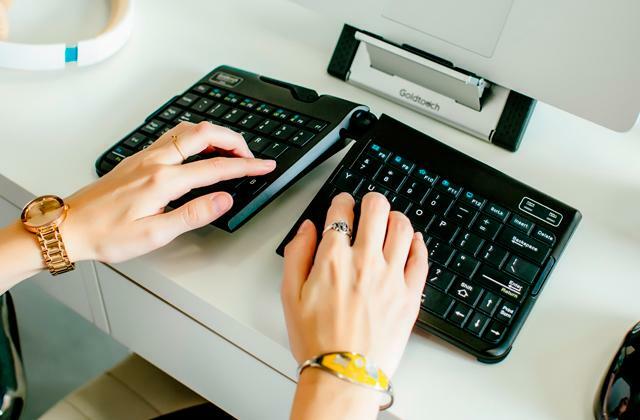 All buttons are arranged in a convenient way to let you perform multiple tasks easily and comfortably. The main peculiarity of Posturite 9820100 Penguin Wired Mouse is antimicrobial body inhibiting the growth of bacteria on your palms. This feature makes the mouse suitable for use by many interested persons. What is more, the mouse is notable for a penguin-shape design and easy-glide symmetrical base for a comfortable resting of either hand alongside the body. The mouse features a wireless connection that is very convenient and efficient. Thus, you will be able to manage your PC or laptop, staying within the range of 30 ft.
Adesso iMouse E10: 4.7 in. This thing is a life (or job) saver! My hands are messed up and using a conventional mouse hurts A LOT after a fairly short period. I'm also a lefty, which limits my options further. Luckily The Vertical mouse has me covered. Love the ease of switching between right and left hands. It is much more comfortable than a regular mouse and has allowed me to work pain free. Whichever hand you grab it with, if you depress your pinkie, the toggle will flatten for that hand's grip, indicating which "hand" you want the mouse behavior to be (reversing the left and right click buttons). The cord is a little less convenient, but not much. 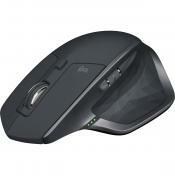 Adesso iMouse E10 has a vertical ergonomic design. The vertical orientation provides a healthy position of your forearm, preventing twisting and strain. The mouse may refer to both small- and medium-sized models; consequently, it will be suitable for people with small or medium palms. Still, the mouse is designed only for the right-handers. 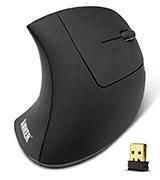 As to the build, the mouse body is made of a matte plastic with the rubber insert for a good adherence to your hand. Moreover, such material prevents your palm from sweating when you use it for a long time. The mouse weighs just 0.3 pounds that prove its high ergonomics. 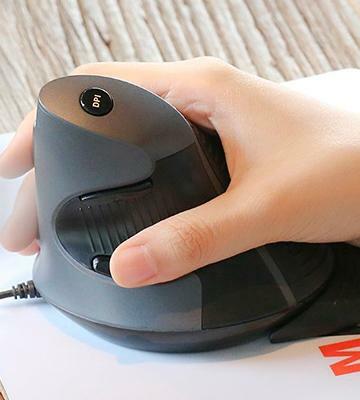 This ergonomic vertical mouse comes with the optical sensor that works great on various surfaces even without a mousepad. 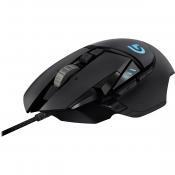 The mouse resolution can be set to 1000, 1500, and 2000 dpi. It should be noted the maximum resolution of this model is one of the highest in a given sector. 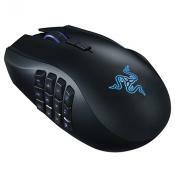 The mouse is equipped with 6 buttons including DPI Switch, Left & Right Buttons, Scroll Wheel, and Back & Forward buttons. Such a combination provides an excellent functionality of the mouse, making it suitable for both gaming and routine web navigation. The sleep mode is one of the main distinguishing features of Adesso® iMouse™ E10. In other words, the mouse switches off when it is inactive for a certain time, thereby saving the battery charge. 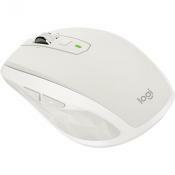 What is more, the mouse is equipped with a low battery indicator that will timely warn you of replacement of batteries. 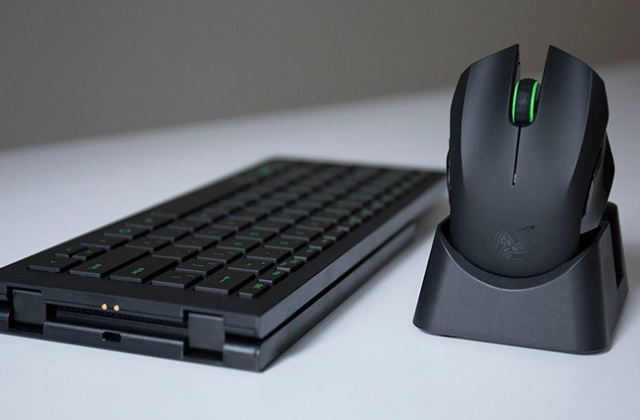 The mouse is easily connected in a wireless way that lets you work efficiently within 30 ft. This is obviously convenient, as no wiring bothers you. This vertical mouse gets the power supply from the included 2 АА batteries that can be easily replaced at any time. Adesso iMouse E10: 3 in. Accurate comfortable, and the light on the side flashes to show what dpi setting you are on (one for slow, two middle, three fast). good purchase so far. 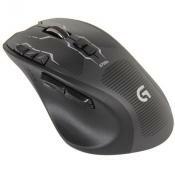 The mouse fits most hand sizes with its gentle sloping style and large easily programmable buttons. This particular mouse come with four programmable buttons. Really it's just two if you keep the standard right and left click. As we live in the age of advanced technology, there are a lot of different computer mouse devices on the market. The mouse devices are divided into two types according to their positioning - horizontal and vertical. When a horizontal mouse is in use, a palm is twisted by 90 degrees and positioned horizontally. Such position may cause a permanent tension in muscles and ligaments leading to pain and discomfort. Contrarily, when a vertical mouse is used, a palm is laid in a so-called "handshake" position regarded to be neutral and healthy. 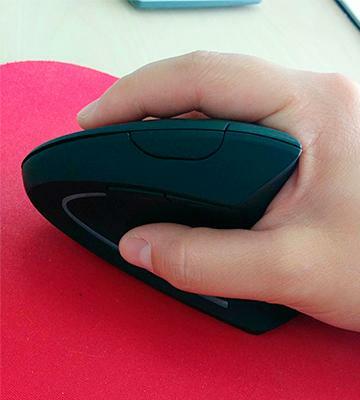 So, we recommend you to consider vertical mouse devices to avoid musculoskeletal disorders. Our review describes the best vertical mouse devices and their highlights. 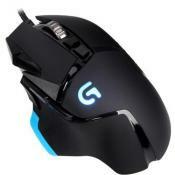 If you are a gamer or just want to try other types of mouse, we advise you to check our trackball mice and gaming mice. Usability and ergonomics are the first characteristics to be considered when buying a vertical mouse. The usability is a very important parameter as it determines the efficiency and comfort. 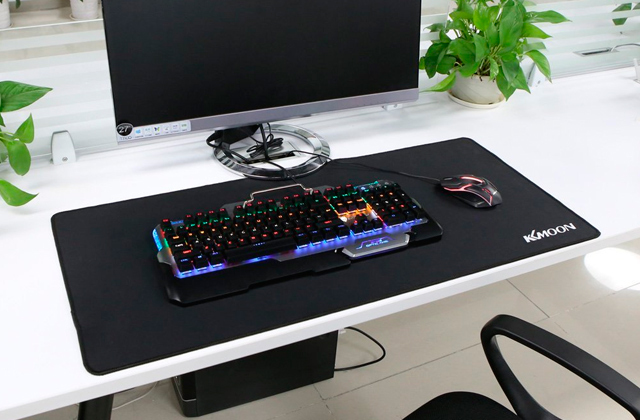 First of all, you need to decide on the size, since vertical mouse devices are divided into 3 types: small, medium, and large. The small models are up to 6 inches long, the medium is from 6 to 7 inches, and large are over 7 inches. To choose the right size for your palm, you should measure the distance between the first wrist crease and middle finger tip. Some manufacturers uploaded a hand imprint on their websites for you to discover your palm size by placing your hand on the screen of your laptop or PC. The mouse devices may be right-, left-handed, and ambidextrous, so you should pick the mouse according to your dominant hand. 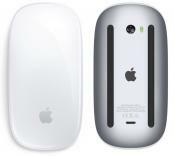 Furthermore, consider the materials used in making the mouse; commonly made of a plastic or rubber. The plastic bodies provide durability and reliability, while the rubber grips and buttons prevent sweating of palms and thereby eliminate their slipping. Last but not the least, you need to consider the weight, as it is vital for ergonomics and usability. Heavy models are confident on countertops and are harder to be displaced accidentally. Contrarily, the lightweight devices are easier to carry, for example, when they are used with laptops. Having done with usability and ergonomics of vertical mouse devices, let's proceed to their functionality. It should be noted that all vertical mouse devices are divided into optical and laser. The optical models, also called LED mouse, feature special diodes for generation of beams in the visible range. The laser mouse is similar to optical ones but differs by semiconductor lasers instead of diodes. Laser models have higher resolution and, accordingly, higher accuracy. Hence, we should highlight one more parameter vital for functionality; this is the sensor resolution measured in dots per inch (dpi). The higher the resolution is, the more sensitive a mouse would be. Most of the contemporary models may feature adjustable resolution to suit various surfaces. We recommend considering the models with a resolution of at least 800 dpi; some sophisticated models have a resolution of 2000 dpi. Furthermore, pay attention to the number of buttons. 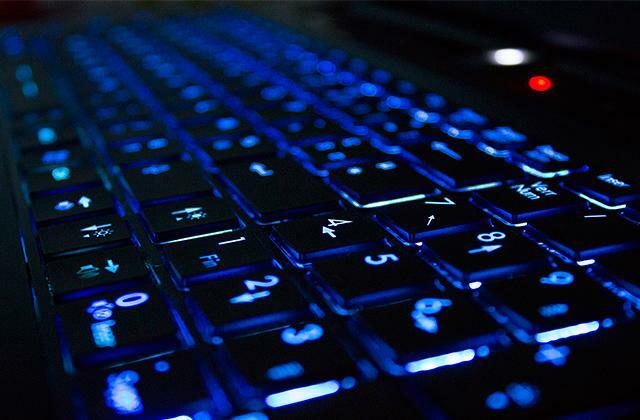 The bottom line is that the more buttons your mouse have, the more functions it can perform. Moreover, you can assign certain functions to the desired buttons for conveniences. Generally, you should consider the number of buttons on the basis of your needs. For example, if you are going to surf the web or work in Office apps, pay attention to the mouse with a standard amount of buttons. Meanwhile, if you deal with graphics editors or 3D modeling, consider the mouse with the enhanced set of buttons, as such a mouse will allow you to perform more functions at the same time and work more efficiently. Features are the final thing to consider when purchasing a vertical mouse. First of all, let's highlight the connection of a mouse to a computer or a laptop. There are mouse devices connected via cable, usually USB, and wireless models connected through special accessories like wireless USB adapters. 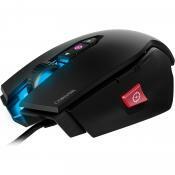 If you need a mouse primarily for games or active use, you should consider the wired models. On the contrary, if you are not interested in gaming and prefer calm googling or working on Office applications, we advise you to consider a wireless mouse. 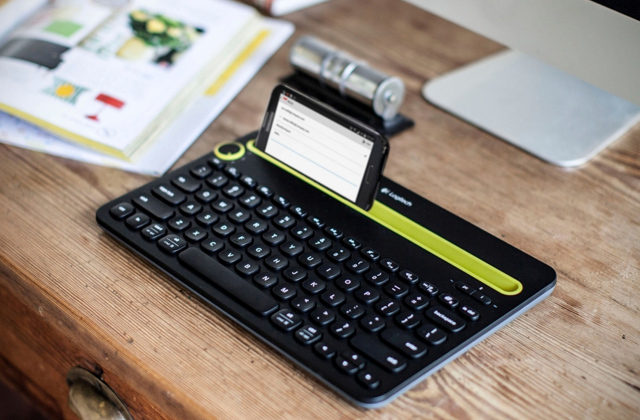 Wireless models are far more convenient, mobile and comfortable than the wired ones. Connection type also affects the operating range of a vertical mouse. The wired connection stipulates limitation of a mouse with a power cord. As for wireless models, they are able to work in the range up to 30 ft. If you still prefer the wireless connection, take into account the number of batteries and their lifespan. Note that some models are able to enter a sleep mode. In other words, a mouse hibernates after a while when not in use, what is beneficial for battery life. LED indicators showing the cursor speed or battery charge are other useful features. 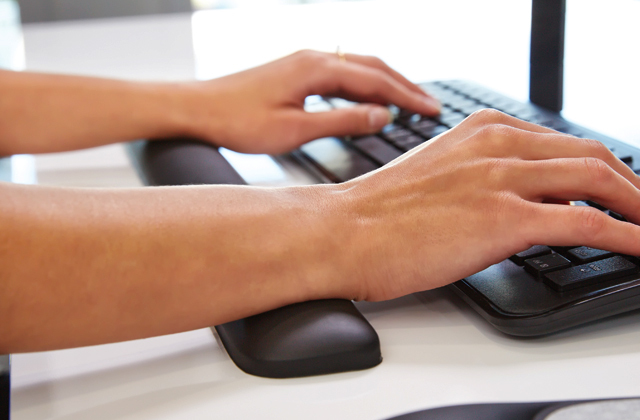 Some vertical mouse devices may feature antibacterial coatings, particularly advantageous for multiuser environments. 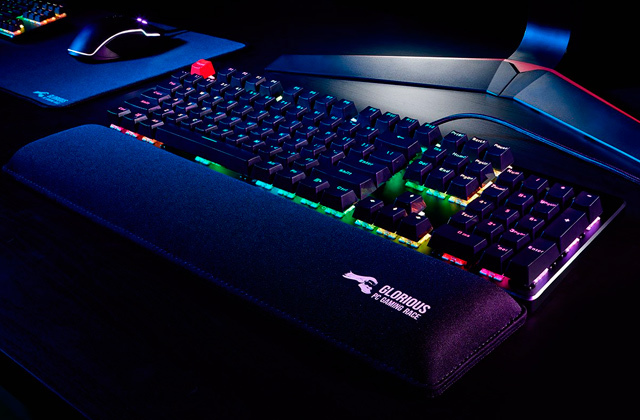 In addition, some models may have special removable wrist rests providing a comfortable grasp.